Is Donald Trump souring on Fox News? Paul Ryan coming on the companies board…. Jeanine Pirro yanked off the air…. Fox News, normally the object of presidential praise on Twitter, was subjected to an unusual tweet-lashing over the weekend when the president went after three of its anchors. He called out Leland Vittert and Arthel Neville, lesser-known faces on Fox News’s weekend programming, and Shepard Smith, a more-prominent journalist who has previously fact-checked President Trump on air. The president also seemed to want to play network programmer on Sunday, urging Fox News to stand by hosts Jeanine Pirro and Tucker Carlson, both of whom are under fire for controversial comments. Fox has supported Carlson but suspended Pirro for suggesting that Rep. Ilhan Omar’s hijab was, by definition, anti-American. 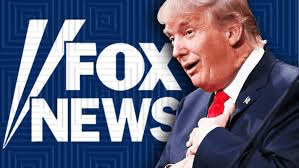 All told, Trump’s barrage suggested that daylight exists between certain sectors of Fox News and Trump, who has showered Fox personalities with interviews and benefited from favorable commentary from its opinion hosts. The spat comes as Fox’s parent company is undergoing a generational change — one that produced another, perhaps more subtle sign of independence from the president. On Tuesday, Fox Corp. began public trading as the new parent of Fox News, Fox Entertainment and Fox Sports; the company is the result of 21st Century Fox’s sale of its film and television assets to Disney Corp. The new company is headed by Lachlan Murdoch, the eldest son of Rupert Murdoch, who co-founded Fox News with Roger Ailes and remains a controlling shareholder in Fox. Among Fox Corp.’s first acts in business: appointing former House speaker Paul D. Ryan to its board of directors. Ryan is, of course, an establishment conservative disliked by both Democrats and those who most strongly supported Trump. Although he advanced some of Trump’s agenda, particularly tax reform, as speaker, Ryan declined to defend Trump or campaign with him in the latter stages of the 2016 campaign….